Having been to the UK this last week, having traveled (twice, nogal) through the global hub that is Dubai, and with Ebola knocking ISIS from the headlines at the moment, I thought I’d jot down a few thoughts I had while attempting not to contract Ebola or any other virus. Firstly, that headline thing. Yes. Ebola is the number one headline in the UK news at the moment. Mainly stories around the country’s preparation for any incoming cases and the screening at the airports. Or ‘airport’, anyway. Fly into Manchester and you’re home free – no scans, no questions asked, no nothing. Just a hint for any suicide bioterrorists there. The fact that it needs ringing in yellow says a lot. And yes, I realise that the Ebola thing is current and it’s acute, but still. 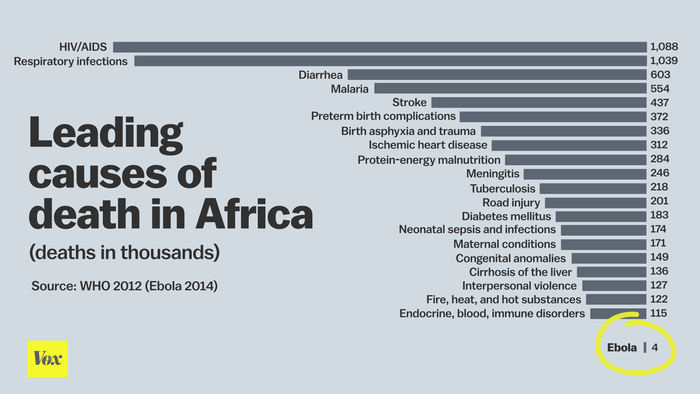 This outbreak has killed thirty times fewer people than even “Fire, heat, and hot substances”. And let me tell you, some of those hot substances can be pretty damn deadly. But joking aside, you’re seventy times more likely to die of malnutrition than Ebola and we don’t seem to be quite as concerned with that. That’s rather sad. But if the rest of the world is to have a reaction to Ebola and is to try and prevent its spread, then it needs to be a sensible and organised approach so as to be effective, hence my confusion at the screening being solely at Heathrow (and possibly Gatwick and bizarrely, on Eurostar trains). If you’re serious about screening passengers and keeping Ebola out of the UK (and despite the fact that it’s not a particularly effective means of determining who’s carrying the infection), then why not do it at Manchester airport as well? There’s no point in locking your front door if you’re going to leave all your windows open. No-one at Manchester batted an eyelid when I flew in from Dubai, even though there are excellent links from there to West Africa. Every bit as good as the ones to Heathrow. And, with that in mind, I saw nothing – NOTHING – at Dubai about Ebola. And that place is like some terrestrial version of a Star Wars space station – what an extraordinary mix of people and nationalities. If Ebola is to get a foothold anywhere else, then it may well be through Dubai. But there’s no mention of it there at all. Finally, Cape Town, which (amazingly? reassuringly?) had the best response of the airports I used. And that was merely an announcement asking me to “go and talk to the people at the Health Desk if I’d been to West Africa in the last few weeks”. This self-reporting with a disease which carries a stigma like an STD? It’s not exactly foolproof, is it? But it also seems utterly pointless if you’re not going to do it thoroughly.